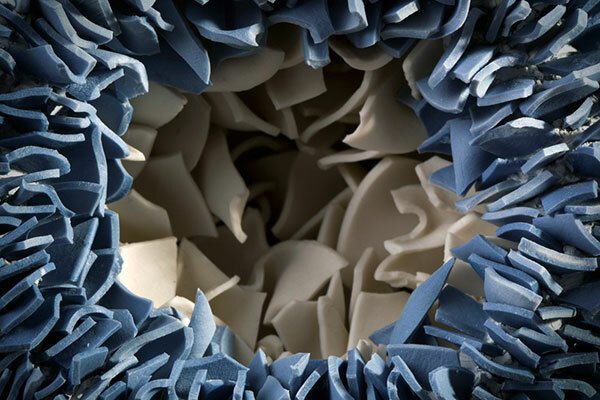 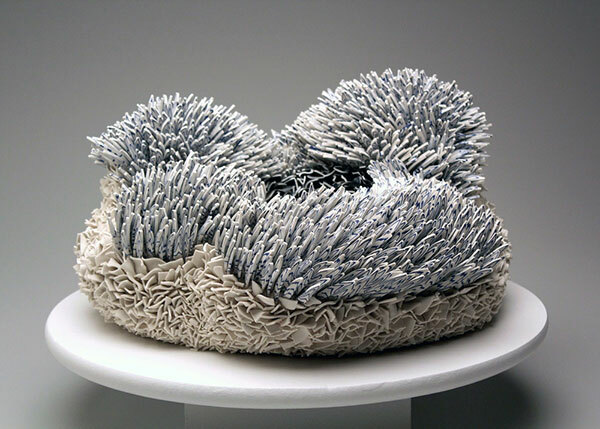 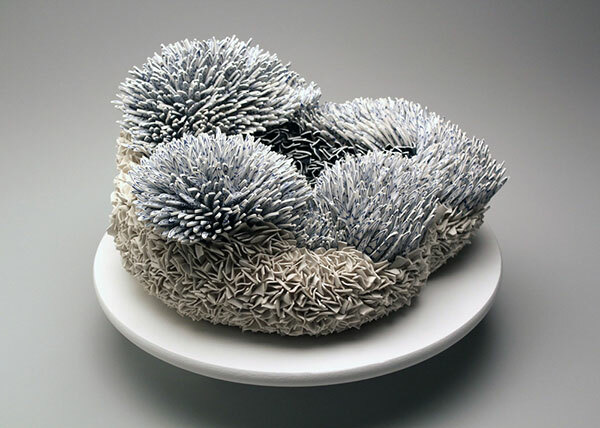 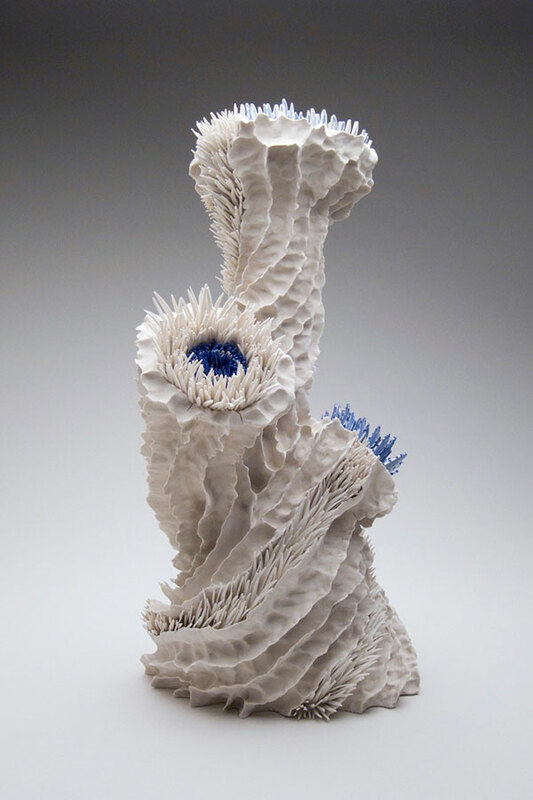 Sculptures assembled from thousands of pieces of broken ceramics by Israeli artist Zemer Peled. 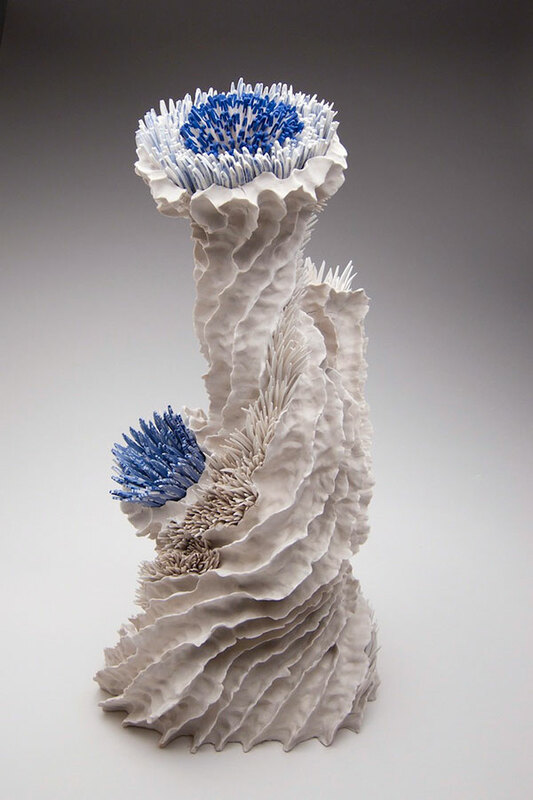 The sculptures evoke floral as well as abstract biomorphic forms—from sunflowers to sea anemones—and examines the beauty and brutality of the natural world. 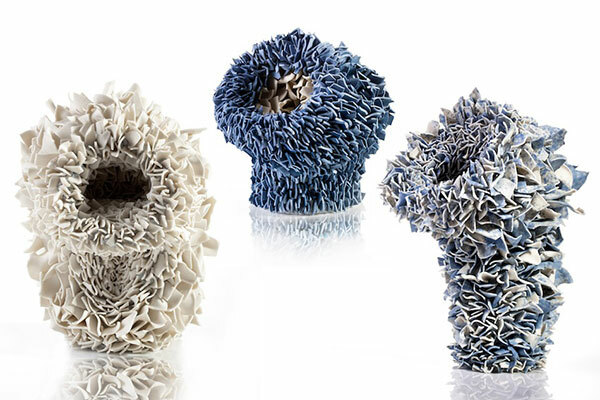 Peled constructs her organic shapes from handmade ceramics which she smashes to pieces and uses the shards as sculpting material.